Great ponds start with TetraPond! We have everything you need to set up and maintain a beautiful pond, including water pumps and filters, pond accessories and d cor, lighting and equipment, and fish nutrition and water care products. TetraPond Pond Tubing easily connects to pumps, bio-filters, UV clarifiers, waterfall filters and other water features in your pond or water garden. This tubing will not crimp or collapse, and it can be buried to conceal for creating a more natural look. This large-size tubing with a corrugated surface is 20 feet long and 1 inch in diameter. Also available in other sizes: small (smooth surface) 1/2 inch ID, 15 feet long; medium (corrugated surface) inch ID, 20 feet long; and extra-large (corrugated surface) 1 1/4 inch ID, 20 feet long. Since 1951, Tetra has developed the world s most comprehensive body of fish food knowledge, and fishkeeping enthusiasts have looked to the brand for products and solutions that add ease and beauty to their home. Whether you're an experienced hobbyist or just starting out, Tetra has everything you need from a large variety of quality fish food and innovative equipment to test kits and decor. 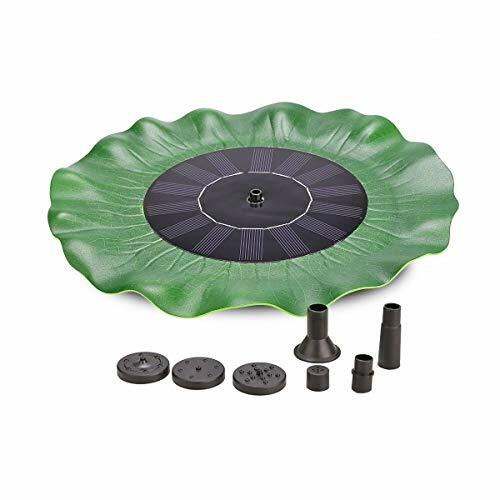 POND TUBING: Use to connect water pumps, bio-filters, UV clarifiers, waterfall filters and other components in your pond or water feature. DURABLE CONSTRUCTION: Will not crimp or collapse. DIMENSIONS: 1 inch diameter, 20 feet long. TETRA PRODUCT: You can trust your pond to Tetra products. 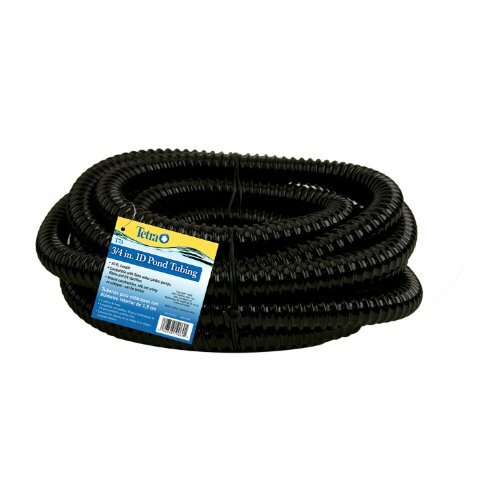 The Sealproof Kinkproof Corrugated Pond Tubing inhibits algae growth and and resists abuse, pull and crushing. TetraPond Pond Tubing easily connects to pumps, bio-filters, UV clarifiers, waterfall filters and other water features in your pond or water garden. This tubing will not crimp or collapse, and it can be buried to conceal for creating a more natural look. This extra-large tubing with a corrugated surface is 20 feet long and 1 inch in diameter. Also available in other sizes: small (smooth surface) 1/2 inch ID, 15 feet long; medium (corrugated surface) inch ID, 20 feet long; and large (corrugated surface) 1 inch ID, 20 feet long. DIMENSIONS: 1 1/4 inch diameter, 20 feet long. TETRA PRODUCT: You can trust your pond to Tetra brand products. TetraPond Pond Tubing easily connects to pumps, bio-filters, UV clarifiers, waterfall filters and other water features in your pond or water garden. This tubing will not crimp or collapse, and it can be buried to conceal for creating a more natural look. This medium-size tubing with a corrugated surface is 20 feet long and inch in diameter. Also available in other sizes: small (smooth surface) 1/2 inch ID, 15 feet long; large (corrugated surface) 1 inch ID, 20 feet long; and extra-large (corrugated surface) 1 1/4 inch ID, 20 feet long. DIMENSIONS: inch diameter, 20 feet long. Sealproof Vinyl Tubing is lightweight, durable, flexible, and proudly made in the United States. Sealproof tubing is made of high quality vinyl compounds for all your aquaculture applications. Smooth inside and out - permits unrestricted flow, reducing operating costs. Precisions outside diameter (standard IPS size) is designed to be glued into standard Schedule 40 PVC fittings. 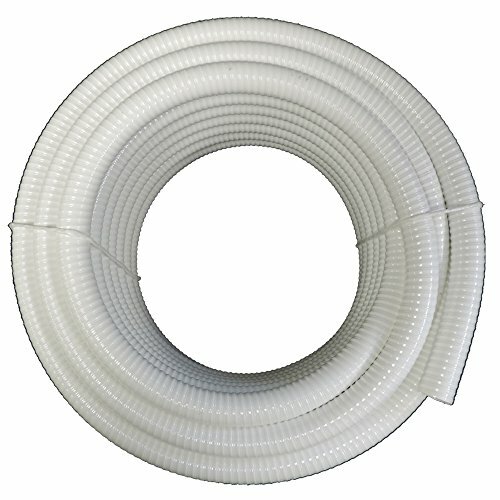 This Flexible PVC Pipe, commonly referred to as "flex tubing", "spa tubing" and "flexible PVC" is perfect for use with pools, spas, hot tubs, water gardening (ponds, waterfalls, fountains), aquariums and fish hatcheries, irrigation, farming and gardening, sprinkler lines and other applications where the utilization of rigid pipe is either not practical or not desirable. Strong and long-lasting, this hose is ultra-flexible, and can easily be routed in any direction necessary without the use of multiple fittings, thus simplifying plumbing layouts and the installation of your job. It can be used in areas where space (for fittings) is limited and/or in situations that simply will not accommodate rigid pipe. It is sunlight, ozone and mildew resistant (although we do not recommend installations in continual sunlight). Our Flexible PVC Pipe easily conforms to almost any contour, and experiences less heat loss than comparable copper or steel pipe. A rigid internal PVC spiral resists crushing and impact issues, and this PVC pipe can be used for above-ground or under-ground installations (with proper cushioning). It can also be used as a conduit to run protected electrical, cable, phone or fiber optic lines and can also be used as a protective liner for softer hoses or tubes. Trimming or cutting is much simpler than with rigid PVC pipe (it can be cut with PVC pipe cutters, a standard hack saw, a carpenters saw, etc.) and it accepts standard Schedule 40 fittings. It can be easily glued using any good commercially available glue for flexible or rigid PVC. It eliminates back-pressure caused by sharp turns created by multiple fittings, which increases the efficiency of your system and lowers your overall operating/energy cost. Each fitting eliminated with this highly-flexible pipe is one less fitting that can fail and cause your system to leak. It also coils easily for storage and transport. Include Free Can of Hot Blue Gorilla PVC Glue. Works Great for Pools, Spas, Water Gardens and other applications. Our Flexible PVC Pipe is available in black or white, 1/2 thru 3 in diameter. The pipe walls are smooth inside and out which allows for unrestricted flow. Our Flexible PVC Pipe is a true Schedule 40 (Sch 40) PVC Pipe that is meant to be used with Sch. 40 fittings. It contains rigid PVC spirals that provide additional flexibility and strength above and beyond other Flexible PVC Pipes on the market. Flexible PVC pipe can be used for direct burial or above ground use. It is UV resistant and will last for many years. Only use PVC Solvent Cements and allow adequate time for the PVC glue to cure. advantage of all of the benefits of Flexible PVC Pipe and plumb systems in a whole new way. Less connections and longer runs will save you countless hours of installation time and reduce the chances of leaks. 1/8 Split Loom Tubing 100' Spool. Manufactured by install bay by Metra. Split Loom tubing. Manufactured in China. 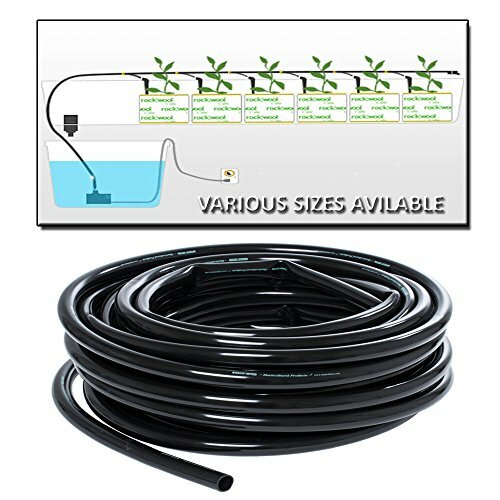 Black Vinyl tubing for hydroponic Systems and other irrigation hosing use. 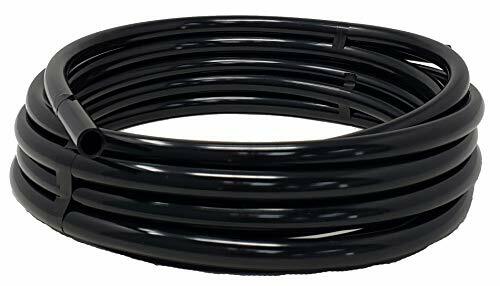 Flexible Non-Kink Water Garden Pond Tubing (US or UL Size) This tubing works best with Alita, Atlantic Water Gardens, Aquascape, Little Giant, Oase, Pondmaster and Savio Products. Due to variations in fittings, some buildup may be required for secure fit. Our Non-Kink Flexible PVC tubing, commonly referred to as "non-kink", "kink free tubing", "water garden hose", "pond tubing" , "flex pond" and "corrugated tubing" is perfect for use with water gardening, ponds, waterfalls, fountains, aquariums and fish hatcheries, drains, light farming and gardening and light irrigation. While it is not as strong and durable as our flexible PVC pipe, it is somewhat more flexible and lighter. Corrugated on the outside for strength and smooth on the inside to speed water flow, reduce material build-up and reduce friction, this lightweight tubing can easily be routed in any direction necessary without the use of multiple fittings, thus simplifying plumbing layouts and the installation of your job. It can be used in areas where space (for fittings) is limited and/or in situations that simply will not accommodate rigid pipe. Very flexible - ideal for working in confined areas. Saves time, labor and cost. Reduces the number of required fittings and permits the installer/user to make smooth, tight turns. PVC tube with raised exterior PVC helix for strength and flexibility. Smooth inside - permits unrestricted flow, reducing operating costs. Mildew, sun, ozone (UV) and chemical resistant. The black hosing does not encourage the growth of algae and can easily be camouflaged. HydroMaxx tubing is non-toxic and will not harm fish or plants. Designed for use with barbed or insert fittings and appropriate clamps. Designed to work with larger-sized water garden pond hose. 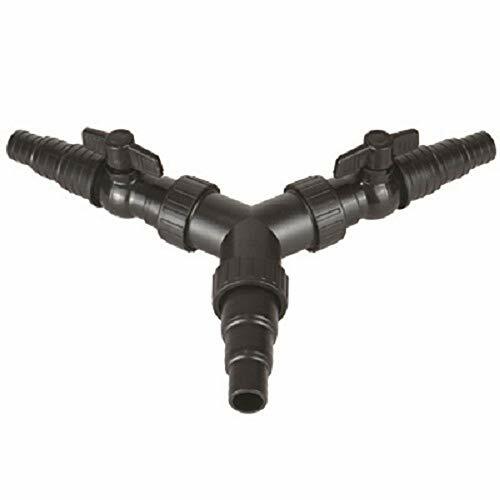 This durable fitting enables you to direct your pump flow into two separate channels. Taps allow you to fine control the flow how you want. Our white Ultra Flex Flexible PVC Pipe is commonly used for pools, spas, and other water features where the utilization of rigid pipe is either not practical or not desirable. 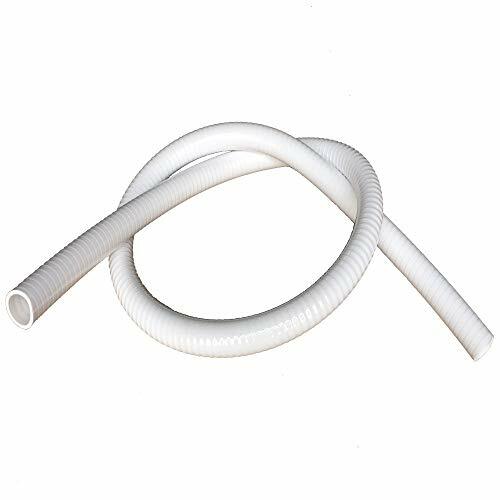 Commonly referred to as PVC pool or spa hose, flexible PVC tubing and flexible PVC, our white Ultra Flex flexible PVC hose is strong and long lasting, as well as extremely flexible. Designed with a tighter, rigid spiral within a more flexible wall, we are able to provide a pipe that is an installers dream. This is not a thin wall pipe. Stronger and even more flexible, this thicker wall design is now the only choice for professional contractors and homeowners alike. The increased flexibility of our Ultra Flex will save installation time and headaches. Quite simply, you will not find a more flexible PVC pipe in the market anywhere. Cactus Solar Fountain for garden, bird bath. Esy to Use and Move: Free standing and easy to move to anywhere you want it work in; Put it in water and face to direct sunlight, it will automaticallr run in 3 seconds. Different Water Patterns: 4 replacement nozzles allow you to choose fountain water patterns you like. Multiple-applications: Solar fountain pump is perfect for bird bath, garden, patio and pond. Maintenance & Guarantee: The pump water inlet strainer can be detached for cleaning. Please regularly clean it to avoid it getting stuck. For any questions, sincerely welcome to contact us, we will offer 100% satisfying solution. 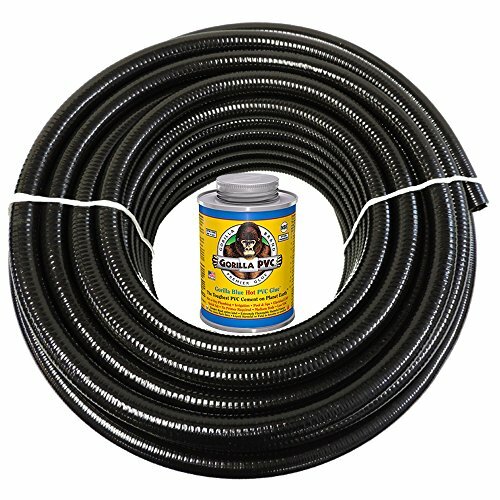 This Flexible PVC Pipe, commonly referred to as "flex tubing", "spa tubing" and "flexible PVC" is perfect for use with pools, spas, hot tubs, water gardening (ponds, waterfalls, fountains), aquariums and fish hatcheries, irrigation, farming and gardening, sprinkler lines and other applications where the utilization of rigid pipe is either not practical or not desirable. 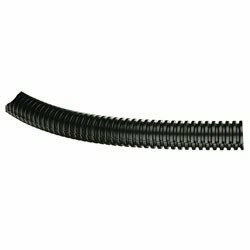 Strong and long-lasting, this hose is ultra-flexible, and can easily be routed in any direction necessary without the use of multiple fittings, thus simplifying plumbing layouts and the installation of your job. It can be used in areas where space (for fittings) is limited and/or in situations that simply will not accommodate rigid pipe. It is sunlight, ozone and mildew resistant (although we do not recommend installations in continual sunlight). Our Flexible PVC Pipe easily conforms to almost any contour, and experiences less heat loss than comparable copper or steel pipe. A rigid internal PVC spiral resists crushing and impact issues, and this PVC pipe can be used for above-ground or under-ground installations (with proper cushioning). 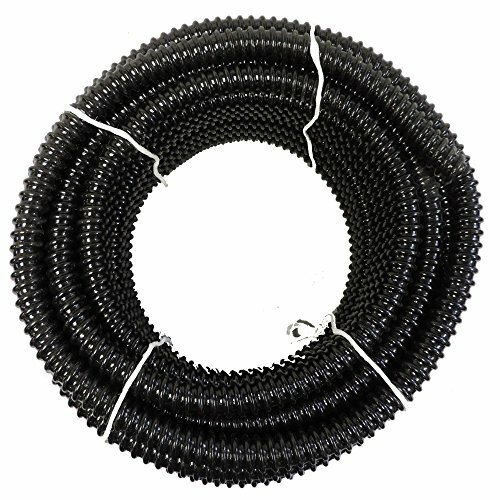 It can also be used as a conduit to run protected electrical, cable, phone or fiber optic lines and can also be used as a protective liner for softer hoses or tubes. Trimming or cutting is much simpler than with rigid PVC pipe (it can be cut with PVC pipe cutters, a standard hack saw, a carpenters saw, etc.) and it accepts standard Schedule 40 fittings. It can be easily glued using any good commercially available glue for flexible or rigid PVC. It eliminates back-pressure caused by sharp turns created by multiple fittings, which increases the efficiency of your system and lowers your overall operating/energy cost. Each fitting eliminated with this highly-flexible pipe is one less fitting that can fail and cause your system to leak. It also coils easily for storage and transport. Flexible PVC pipe can be used for direct burial or above ground use. It is UV resistant and will last for many years. Only use PVC Solvent Cements and allow adequate time for the PVC glue to cureOur Flexible PVC Pipe is a true Schedule 40 (Sch 40) PVC Pipe that is meant to be used with Sch. 40 fittings. It contains rigid PVC spirals that provide additional flexibility and strength above and beyond other Flexible PVC Pipes on the market. Includes Free 4oz Can of Hot Blue Gorilla PVC Glue. Works Great for Pools, Spas, Water Gardens and other applications. Recommended for use in wet conditions and/or where quick pressurization is desired. ake advantage of all of the benefits of Flexible PVC Pipe and plumb systems in a whole new way. Less connections and longer runs will save you countless hours of installation time and reduce the chances of leaks. 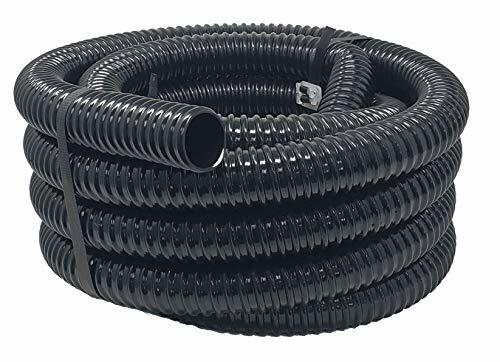 Flexible Black Corrugated Non-Kink PVC Water Garden Pond Hose (MM - Metric) This tubing works best with Alpine, Atlantic, AquaScape, Calpump, Laguna, Lifegard, Little Giant, and Tetra Products. Due to variations in fittings, some buildup may be required for secure fit. 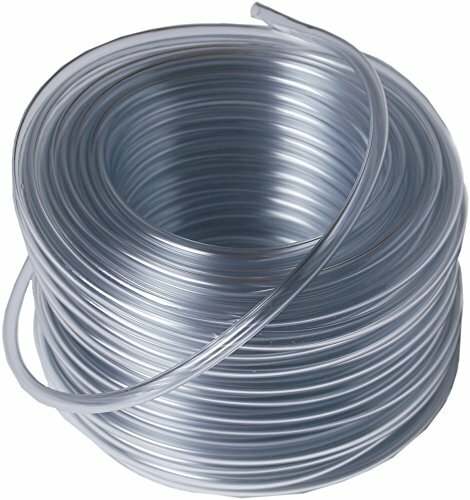 Our Non-Kink Flexible PVC tubing, commonly referred to as non-kink, kink free tubing, water garden hose, pond tubing , flex pond and corrugated tubing is perfect for use with water gardening, ponds, waterfalls, fountains, aquariums and fish hatcheries, drains, light farming and gardening and light irrigation. While it is not as strong and durable as our flexible PVC pipe, it is somewhat more flexible and lighter. Corrugated on the outside for strength and smooth on the inside to speed water flow, reduce material build-up and reduce friction, this lightweight tubing can easily be routed in any direction necessary without the use of multiple fittings, thus simplifying plumbing layouts and the installation of your job. It can be used in areas where space (for fittings) is limited and/or in situations that simply will not accommodate rigid pipe. Great ponds start with TetraPond! We have everything you need to set up and maintain a beautiful pond, including water pumps and filters, pond accessories and d cor, lighting and equipment, and fish nutrition and water care products. 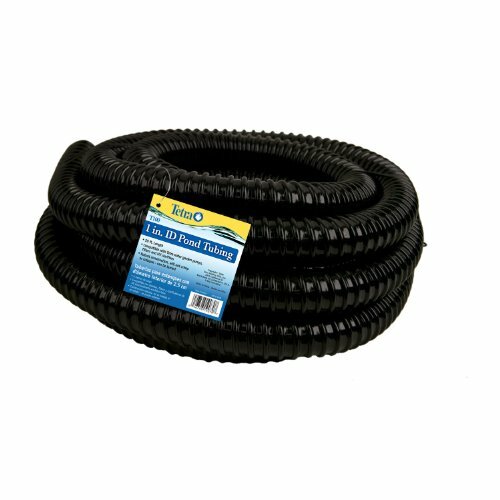 TetraPond Pond Tubing easily connects to pumps, bio-filters, UV clarifiers, waterfall filters and other water features in your pond or water garden. This tubing will not crimp or collapse, and it can be buried to conceal for creating a more natural look. This large-size tubing with a corrugated surface is 20 feet long and 1 inch in diameter. Also available in other sizes: small (smooth surface) 1/2 inch ID, 15 feet long; medium (corrugated surface) inch ID, 20 feet long; and extra-large (corrugated surface) 1 1/4 inch ID, 20 feet long. Since 1951, Tetra has developed the world's most comprehensive body of fish food knowledge, and fishkeeping enthusiasts have looked to the brand for products and solutions that add ease and beauty to their home. Whether you're an experienced hobbyist or just starting out, Tetra has everything you need - from a large variety of quality fish food and innovative equipment to test kits and decor. 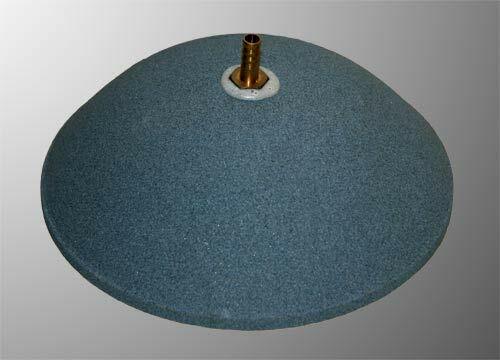 8'' (203mm / 20cm) diameter (Dome) - Heavy duty Sintered Airstone for pond or large pool. Aeration is a important part of pond care, maintaining oxygen levels and helping fish stock levels. Air stones allow oxygen to get to the roots of the plant. By adding Aeration stones you improve water quality and circulation. Aeration stones are called air stones, discs, bubblers or diffusers and come in many shapes, sizes, colors and coarseness levels. Made of porous stone, its main purpose is to gradually diffuse micro air bubbles through your water with the help of a pond pump and tubing. They do not clog and give a better distribution of air with finer bubbles than other types of aeration systems. Spherical and cylindrical shaped airstones are also available in a range of sizes. Sintered airstones are very durable and extremely easy to clean. They are safe for all types of lakes, ponds, fresh water aquariums, salt water or marine fish tanks.